We are very happy to invite you for the upcoming Sri Rama Navami festival to be celebrated at Sri Sri Radha Gopinath Mandir (ISKCON Chowpatty). 12:30 pm -- Arati and Feast Prasadam for all. Festival will end at 1:00 pm. Kindly note there will be no Sunday feast program and there will be no evening festival program. Jai Sri Sita Ram Laxman Hanuman ji ki Jai. 01. To find out nearest ISKCON temples to your place. 02. To connect with each other. 03. 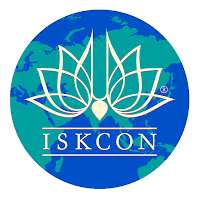 To become part of ISKCON Connection initiative. 04. To share your information to help serve ISKCON. Copyright © 2019 ISKCON Chowpatty, All rights reserved.